There have been lots of remarkable skis made over the years, many design firsts, sometimes a technical breakthrough, but perhaps none have quite turned heads so much as the Oro Nero Gold Skis. The clue is in the name – they’ve got gold in them and a price tag to match, costing more than £38,000 a pair. These really aren’t the skis you’d want to leave casually leaning against a grungy ski bar when you go après-skiing. Actually, the gold isn’t the only expensive element of the skis, which are sometimes described as “as a functional piece of art”. 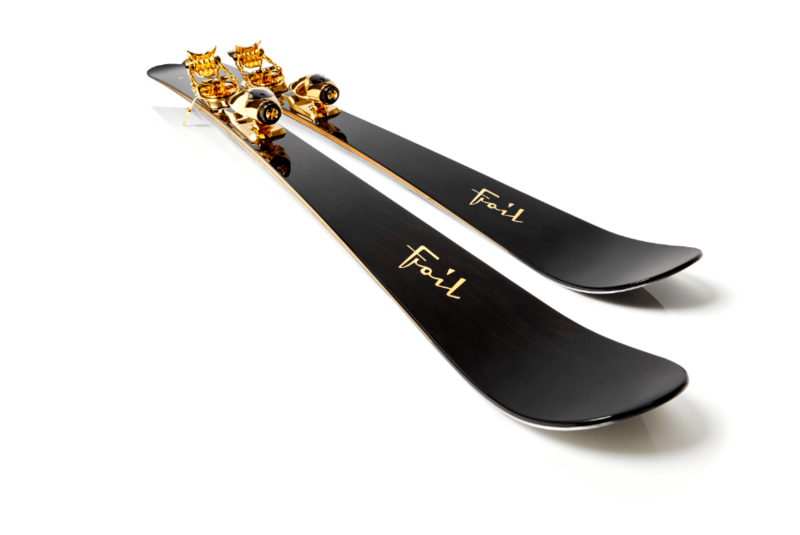 The Oro Nero Gold Skis have been crafted with 8,000-year-old certified Bog Oak hardware beneath that 14-karat gold-plated finish, also featured on the matching poles, bindings and custom-made hardware. 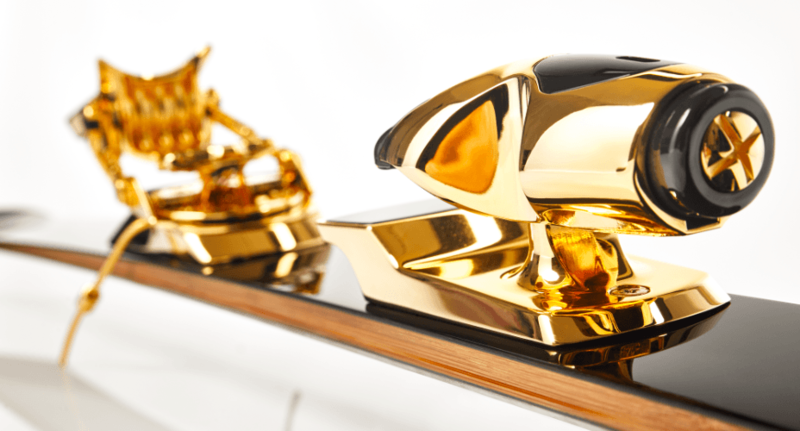 Only five to 10 pairs of Oro Nero Gold Skis are made per year. Founded by Andreas Pichler, an award-winning designer, artist and competitive alpine skier, Foil Skis are the product of decades of research, analysis and testing, and reflect Pichler’s lifelong desire to create what he calls “High Performance Art”. The trouble has been with the price tag and the limited availability, as testing the skis out to see if they actually ski well has been hard to do for most skiers, but the good news this season is that the Grandes Alpes luxury hotel in Courchevel 1850 has the skis available to rent, with an option to purchase them at the hotel’s Ski Shop L’Atelier. Of course, this will possibly be the most expensive ski rental of all time. The Signature Grandes Alpes Foil Skis will be available to rent on a daily rate of €950 (approximately £850) and include a vintage lock, a classic flask, and a monogrammed leather ski bag, or the more exclusive Oro Nero Gold Skis will be available to rent on a daily rate of €2,750 (approximately £2,460). If you like them after your test day, they’ll be available for purchase at approximately €42,505 (£38,035) and include full personalisation with initials or your family crest.